A major asbestos removal project is nearing completion at the Russell and Dirksen Senate office buildings in Washington. Thirty-six senators and five committees, from the Armed Services to Veterans’ Affairs, occupy space in the Russell building. The Dirksen building houses 14 senators and 10 committees from Banking, Housing and Urban Affairs to Homeland Security and Governmental Affairs. In February of this year, the Architect of the Capitol began removing materials containing asbestos from the buildings. Per a Roll Call report, the goal of the first phase of the project was to remove waterproofing that contained asbestos from the northwest terrace of the Russell Building at the corner of Delaware Avenue and C Street NE and floor tiles in the Dirksen Building. The second phase of the project concerned another portion of the Russell building, where asbestos-containing ductwork above the basement ceiling was the target. “All necessary precautions will be taken to ensure Senate staff and public safety,” the memo said. In 2012, when 10 AOC employees working in tunnels in the Capitol complex settled a major lawsuit against their employer for multi-year exposure to asbestos that caused lifelong debilitating health conditions. In July 2014, when an asbestos spill that occurred during abatement work temporarily closed the House side of the Capitol. After that, unions representing AOC workers and the Capitol Police expressed concern about workers’ exposure to the carcinogen. In 2015, when the Cannon Building was evacuated for a potential asbestos leak related to construction that was part of a major ongoing renovation of the oldest House office building. In 2016, when a duct in the attic of the Capitol separated, prompting the air to be shut off. Air samples were collected and analyzed by an independent hygienist, who determined they were below the regulatory limit. The Senate Superintendent’s Office reports that the work on the Russell and Dirksen buildings is scheduled to continue through April. If you have been exposed to asbestos, it is important to see your doctor right away to assess your risk of developing mesothelioma. A specialist can also set up a monitoring plan that could help detect the disease sooner. 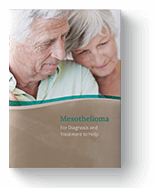 While there is no cure for mesothelioma, early detection could lead to better treatment options and outcomes. See your doctor today. “Dirksen Senate Office Building.” Senate.gov. United States Senate, 2019. Web. 02 Apr. 2019. “Russell Senate Office Building.” Senate.gov. United States Senate, 2019. Web. 02 Apr. 2019. Tilly-McManus, Katherine and Bridget Bowman. “Asbestos removal set to begin in Russell, Dirksen buildings.” Rollcall.com. FiscalNote, 14 Feb. 2019. Web. 02 Apr. 2019.